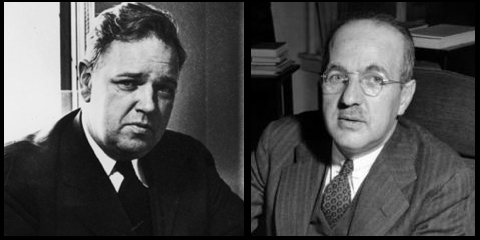 Sir, – Eric Rauchway‘s review of Benn Steil‘s book The Battle of Bretton Woods contains a common mistake about my grandfather, Whittaker Chambers. He did not defect in 1938 “after a religious revelation”. He left for a variety of reasons related to fear and loathing of Stalinism. They included the Great Purges and Soviet conduct during the Spanish Civil War. Most influential was the purge of his own GRU network. “Suddenly, revolutionists with a lifetime of devoted activity would pop out, like rabbits from a burrow, with the G.P.U. close on their heels – Barmine from the Soviet legation in Athens, Raskolnikoff from the Soviet legation in Sofia, Krivitsky from Amsterdam, Reiss in Switzerland” (see Witness by Whittaker Chambers, page 36). His closest American comrade in the underground barely escaped Moscow with his life. Another (Juliet Poyntz) disappeared off the streets of New York City. The final straw (though he himself does not call it so) came when he received his own summons to Moscow. Finally, “I heard their screams” (Witness, page 80). Religion followed sometime after. First, he had to survive and then start a new life. I email you because I am deeply pleased at your objectivity about your grandfather and those whom he accused of being Reds and traitors. I always loved “Witness” for its literary as well as historical merit, and yet was left wondering at the vagueness and almost defensive manner in which he discussed Harry Dexter White. I was wondering what you now think of Benn Steil’s new book about Harry Dexter White and Bretton Woods after reading your excellent take on Steil’s article last year in the NY Times. I personally find Steil to be extremely shallow and lacking in any larger insight about White’s actual motives and his policy positions. I was also an active commenter to Eric Rauchway’s two posts at Crooked Timber on the dust up he’s had with Steil. Thank you for your consideration here, and I hope you continue to keep the perspective and desire for understanding moving forward.